Product prices and availability are accurate as of 2019-03-27 07:32:31 EDT and are subject to change. Any price and availability information displayed on http://www.amazon.com/ at the time of purchase will apply to the purchase of this product. 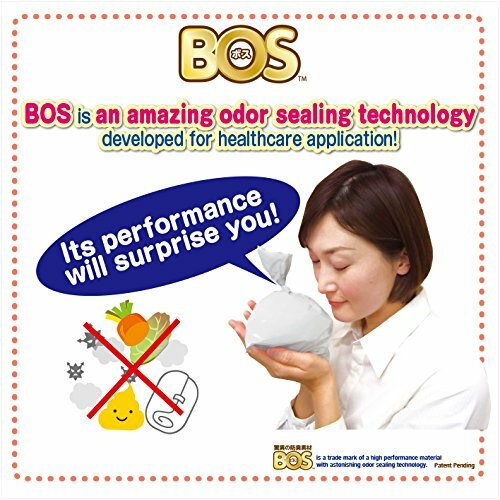 Phenomenal odor sealing technology approved by 99.9% of Japanese testers. Its performance will surprise you! Best seller & #1 Top Rated Bag (out of approx. 1.2 million items) in the Heath&Beauty categories on Amazon Japan!! 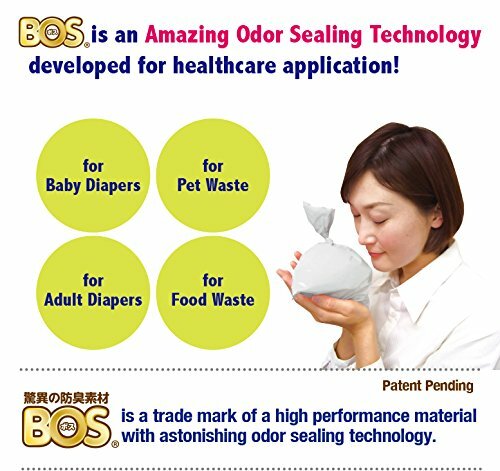 A safer and more sanitary way to dispose of diapers or any foul-smelling substances. Not only does it seal in ANY odor (not just limited to soiled diapers), but it even seals in bacteria!! Easy to Use! Place contents in the bag and tie a knot! Securely sealed and amazingly odor-free! Comes in a compact box & easily dispensed with one hand! Gusseted allowing for a larger opening and greater capacity! Soft material and easy to tie! Opaque white color.